My name is Michael Hayes. 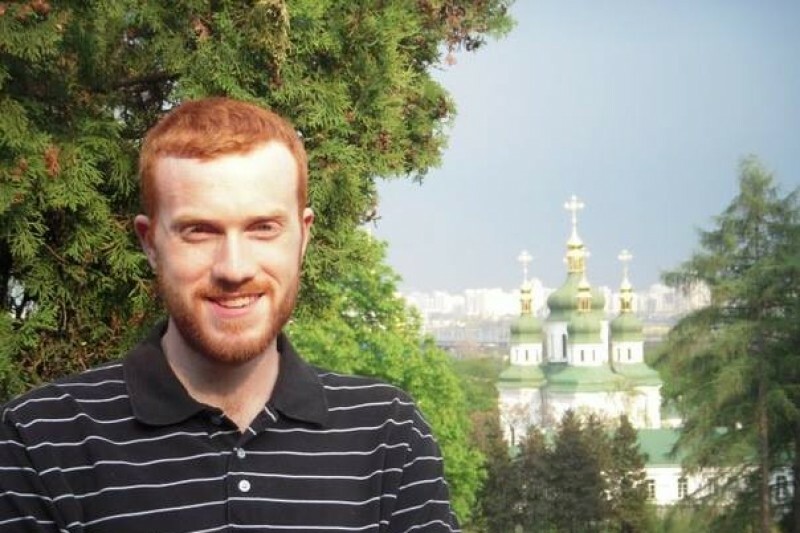 After several years of discernment, I entered seminary last year for the Ukrainian Catholic Church in Canada. I am preparing to enter my second year of theological studies in September, 2015. In order to continue with my seminary formation, I will require the financial support of others. 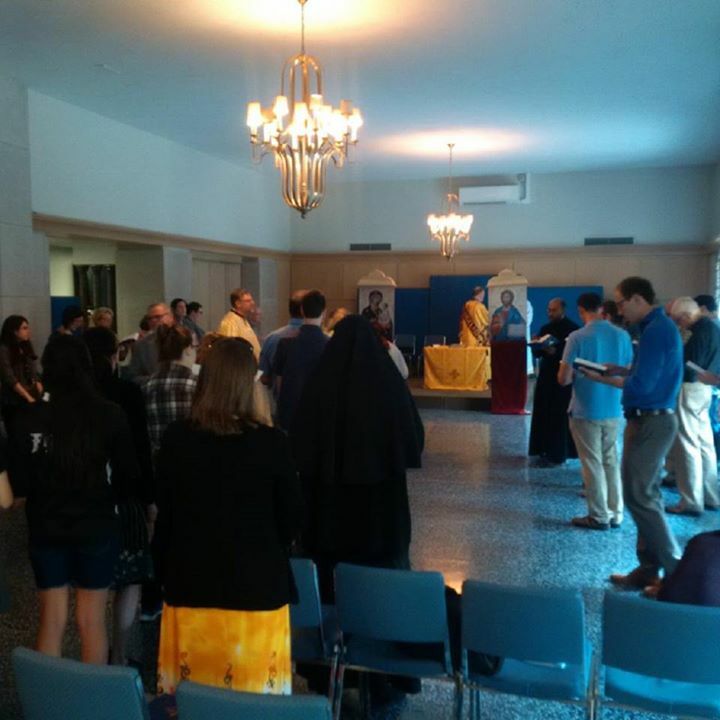 My diocese will cover room, board, and food; I pay for tuition, academic fees, and personal expenses. While I will be working during the summer, I will not make enough money to cover my costs for the next academic year. As a seminarian, I am not permitted to work during the academic year. Any donation no matter how large will be greatly appreciated. Since this is a personal fundraising campaign, I am not able to issue tax receipts. Please know that I pray for all of my benefactors by name daily; I mean it when I tell you that you are in my prayers! It has been some time since my last update. The past few weeks have been very busy for me. We recently celebrated two of the twelve great feasts of the liturgical year: The Transfiguration of our Lord on August 6th, and the Dormition (Falling-Asleep) of the Mother of God on August 15. Over the last week and a half I have been on vacation. First, I went to Carnegie, PA (a suburb of Pittsburgh) to attend a symposium on evangelization and to spend time with the pastor there and his family. After that, I went to Kawartha Lakes, ON (near Peterborough) to visit with my parents who moved there recently for a few days. Now I am back at the seminary waiting for the term to begin. We will start our year by celebrating the Indiction (Liturgical New Year) on Tuesday, September 1st. Academic classes begin on Wednesday, September 8th. As it stands, I am $3,500 short of my goal. Please consider supporting my seminary formation--it is not a donation to me so much as a donation to the formation of a future leader in the Church. After a couple more donations, I have hit $5,000. Thank you so much for your support! Please continue to share my cause with others. Two days ago we celebrated the glorious feast of the Transfiguration of our Lord, God, and Saviour Jesus Christ, and today we continue with the post-feast. For probably the majority of Christians, this feast doesn’t register as a major event in the Liturgical year. Certainly, when I was a practicing member of the Latin Church, it didn't. I have the feeling that most people when they read the account of Christ shining brightly atop Mount Tabor, it is little more than a nice story. For the Latins, the feast is there, but rarely does one find a Roman Catholic parish making a special deal out of the feast. For us Byzantines, this feast is of great importance. It is so important, it ranks as one of the twelve great feasts of Our Lord (along with other feasts such as the Nativity of Christ and Pentecost). I do not wish to speculate at this moment as to why this feast has such prominence in the Byzantine tradition and not in others, but instead comment briefly on what it reveals to us. It is clear to all orthodox Christians (whether Latin, Byzantine, Coptic, etc…) that in the event of the Transfiguration, Christ reveals his Divinity to his apostles and to us. The light that shines so brightly can be nothing other than the uncreated light that is His Divinity. But when we take this one step further, we remember that it was not simply God standing there and shining on the Mount, but Jesus Christ, the God-made-man, true God and true man, whose natures, as the Council of Chalcedon teaches us, have no confusion or separation, no division or change. It was Jesus in his two natures who was shining so brightly upon the Mount. His humanity had been penetrated by His Divinity without ever being compromised. This divinized Humanity of Christ is humanity as God intended! It is the glorified humanity revealed again after the Resurrection! It is the redeemed and divinized humanity that we can attain should we submit fully to God’s will! This feast is so great because it reveals to us who we are and who we were meant to be. With sin, our humanity is fallen. But in Christ, our humanity too can be penetrated—divinized—by Christ’s Divinity. O, what a marvel! O, what a mystery! O, what glory! We are almost at the end of July, two short months after I began my campaign, and I have reached $4,450. I am humbled by the support of so many people, many of whom I know quite well, old friends I haven't seen in years, and people I've never met. Thank you all so much! This past weekend in Ottawa was the first annual Capital Ukrainian Festival. Close to 8,000 people participated in this festival and I spent the bulk of Saturday and Sunday afternoon giving tours at the local Ukrainian Catholic Shrine there as a part of this festival. I can say that my three semesters of theological education already have paid off! I drew from many things I have learned so far studying theology when giving these tours and answering questions. Because of the support of others, I have been able to study and help people make sense of their experience when visiting the Shrine Church which for many was a real encounter with Christ. I am still just over half way passed my goal of $8,500 and require more support. Please continue to pray for me and share my campaign with others. It has been close to two weeks since my last update, but I have been kept busy with travels. Last week, I went to Alberta where I visited with my grandmother, aunts, uncles, and cousins. 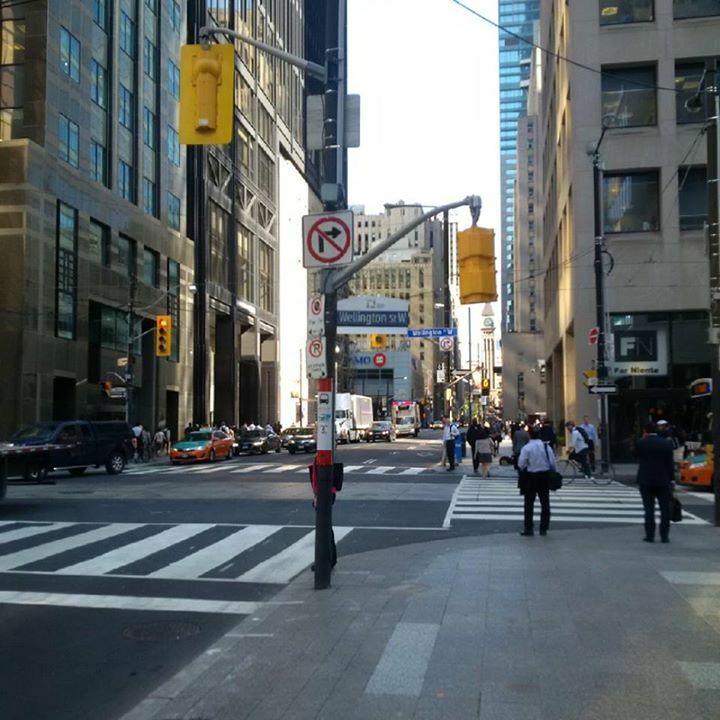 After that, I went to Toronto for the Metropolitan Andrey Sheptytsky Institute Study Days. Now my vacation is over and I am back working for the next few weeks until I assist with a nearby parish's summer camp. During this time, I will continue with a summer course towards my theology degree. In the last few days, I have passed the half-way point of my fundraising goal. I set out to raise $8,500 and have hit $4,350. Thank you so very much to everyone who is praying for me and who has contributed thus far. Please continue to share this campaign with others on social media, by email, and by word-of-mouth! 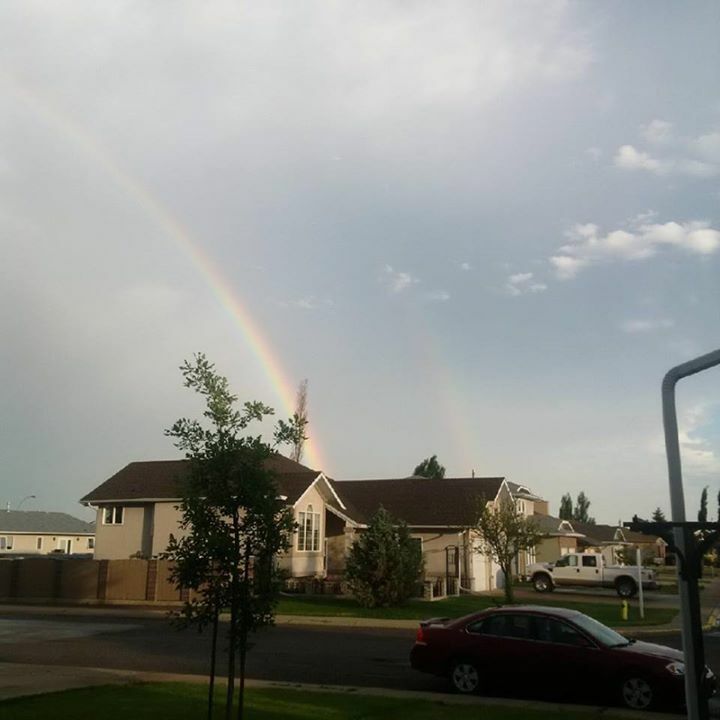 Rainbows after a storm in Coaldale, AB. Back in my home city of Toronto. At the end of Liturgy at Study Days. Sharing my blessings with you! God bless you in your studies! I hope you do well!